RETIRE.FUND: Ford uses Azure Dynamics drive train in Electric truck of the year. Ford uses Azure Dynamics drive train in Electric truck of the year. We bought Azure Dynamics today! (TSX:AZD) (OTC: AZDDF) We think it is a home run. Here are some of the reasons why"
1. Azure Dynamics Corp. operates in the sweet spot of the automotive world: it makes hybrid power systems for trucks and vans, dramatically cutting emissions and trimming fuel costs of vehicles that ply city streets every day. 2. 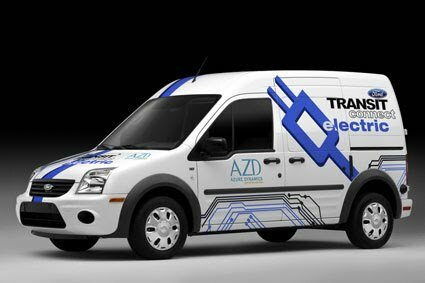 Azure is a small Canadian company listed on the TSX, and it supplies the power systems for the Ford Hybrid Van recently named truck of the year! 3. Ford says Azure is to supply the electric drive train for the new, all Electric version, the "Ford Transit Connect Electric". 5. Today, Azure was named to a brand new, clean tech index on the TSX and thus becomes a target for index fund managers. The 8.5 million shares that traded today is proof of that. 6. The insider report from TD Waterhouse clearly indicates that inside officers of the company, have only been buying stock and options for the past 6 months. There are "no sellers"! 7. The company was born a research project at the University of British Columbia (UBC) in the 1990's. It is now based in Detroit (so as to be close to the industry it services) but retains a plant in Vancouver and as I said, trades on the Toronto Stock Exchange-TMX.com Azure's hybrid drive trains are already installed in hundreds of delivery trucks and shuttle vehicles in North America. This technology sharply cuts the fuel and maintenance costs of traditional gas engines, and reduces greenhouse gases - appealing to companies with large fleets of vehicles that make stop-and-go deliveries. As an example, Puralator Courier has 200 of these vehicl es in service, and 200 more ordered. A, T and T is now a customer. 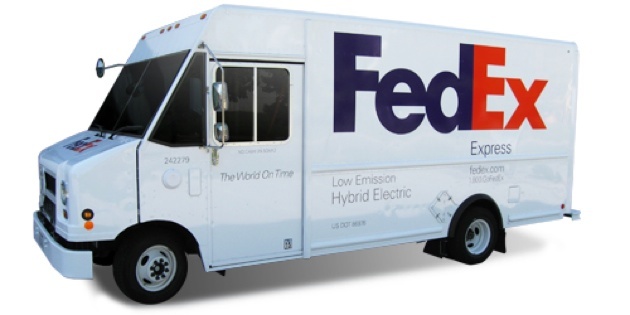 In the USA, FedEx has so far ordered 51 of these vehicles. Azure is now using Lithium Ion Batteries. This small company has product on the road and the technology development is behind them as they have been in development for almost 20 years now. The partnership with Ford cannot be understated and is a key to future growth. 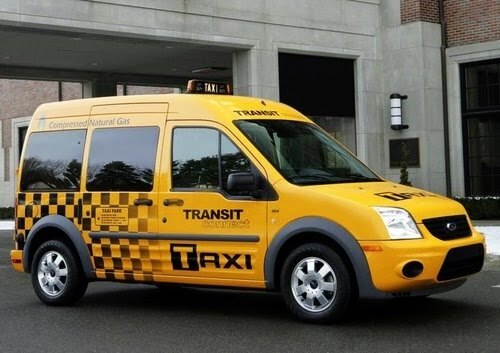 New Yo rk City Cabs are now using this vehicle. A London cab company also has this vehicle. Chicago is interested in ordering a bunch by 2014. As the market continues to heat up in the "fleet delivery" niche for this vehicle and Azure's patented electric drive train, others are taking notice. FEDEX just jumped into the fray utilizing this vehicle to be used in their parcel delivery business. Azure also powers electric buses. I think the sky is the limit for this small Canadian tech leader. Incidentally, another of our favorite picks, Ballard Power Systems, was also added to the Index today. Posted by H. Pelham at 7:20 p.m.
Buy this web Domain now! Buy Your Web Address Now! DISCLAIMER: Nothing in this post should be construed as investment advice or guidance. It is not intended as investment advice or guidance, nor is it offered as such. It is solely the opinion of the writer, who is NOT an investment counselor/professional. All the content of this website is solely an expression of his personal interests and is posted as free-of-charge opinion and commentary. If you seek investment advice, consult a registered, qualified investment counselor (As with any other professional service, confirm their track record and referrals).